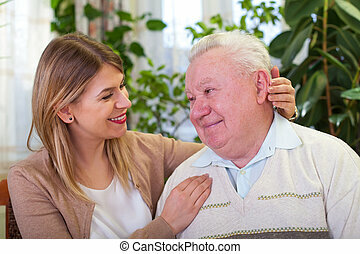 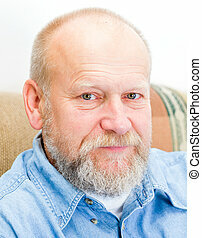 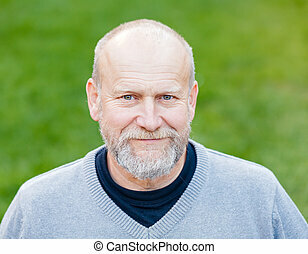 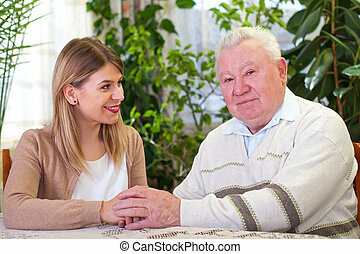 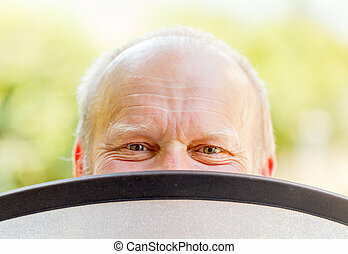 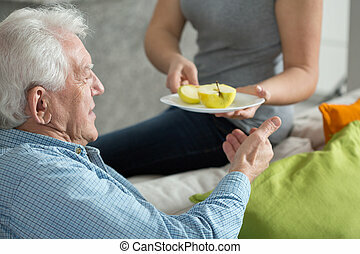 Caretaker and elderly man. 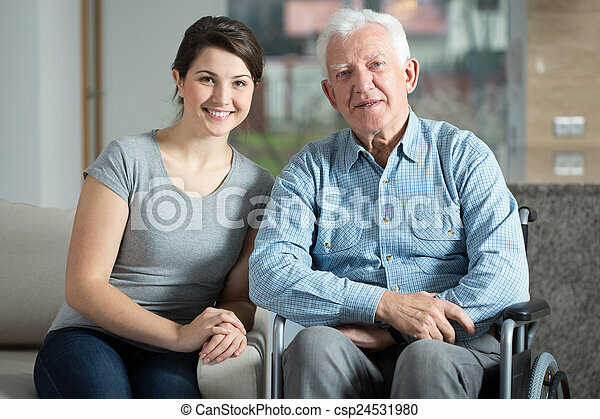 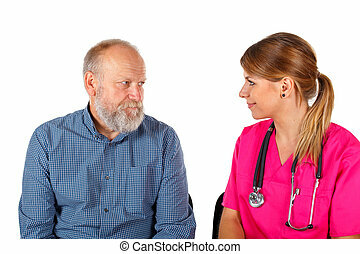 Young pretty female caretaker and elderly man on a wheelchair. 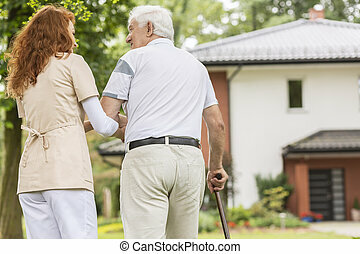 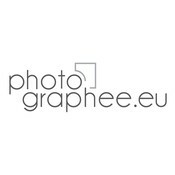 A back of an elderly gray-haired man with a cane and his redhead caretaker while walking in the garden on a sunny afternoon. 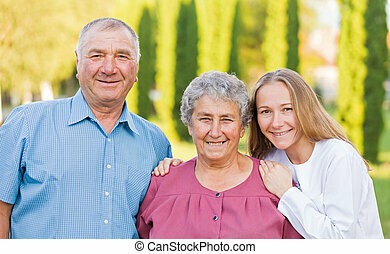 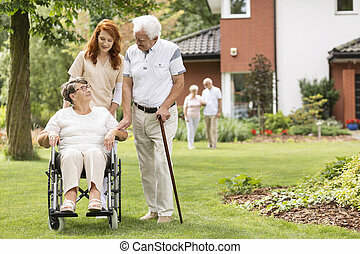 An elderly disabled couple with their caretaker in the garden outside of a private rehabilitation clinic. 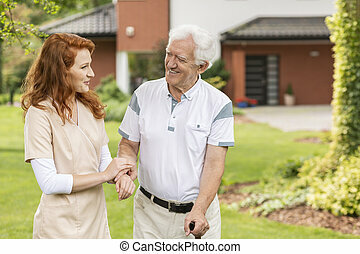 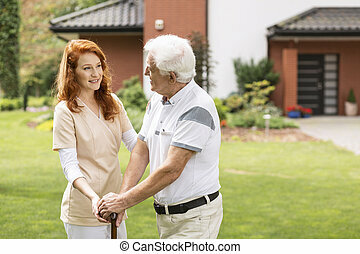 A young professional nurse in uniform helping an elderly man with cane outside his home. 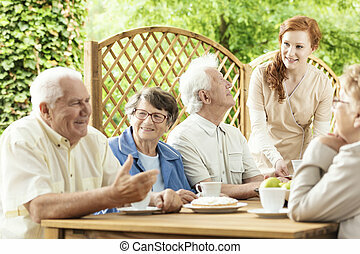 Group of elderly pensioners enjoying their time together by a table outside in a garden of a retirement home. 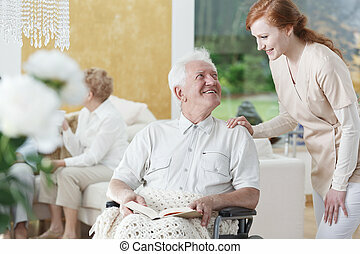 Young caretaker assisting. 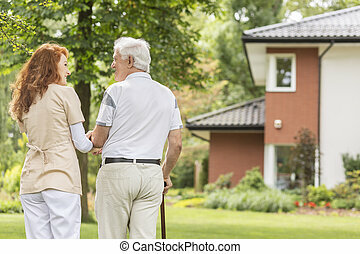 Back of an elderly man with a cane and his caregiver outside in the garden walking back to the care home. 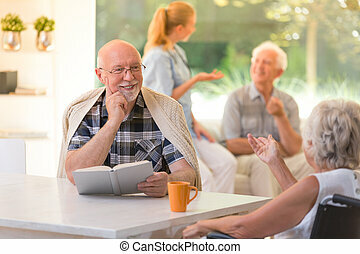 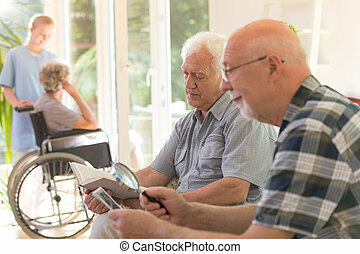 Tea time for seniors sitting on a couch in a common room of a luxury retirement home. 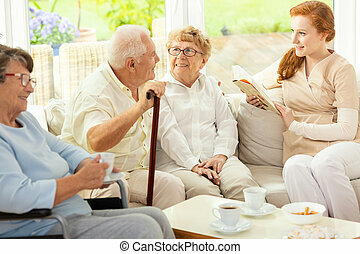 Caretaker reading a book to elderly. 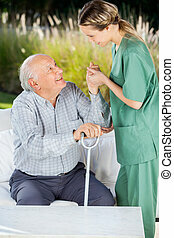 Smiling grey-haired senior man with a walking stick talking to a helpful caretaker in uniform in the garden of a nursing home. 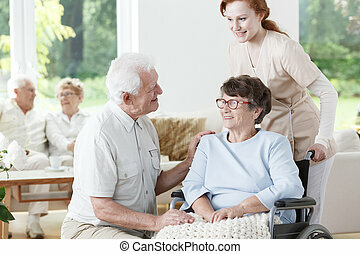 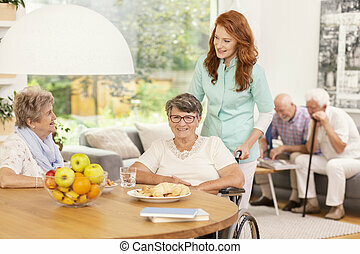 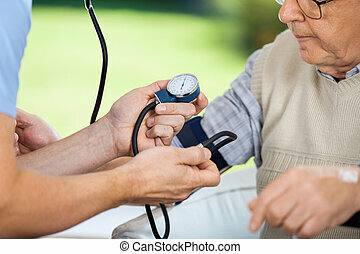 Professional medical caretaker in uniform helping smiling senior woman on a wheelchair in a living room of private luxury healthcare clinic. 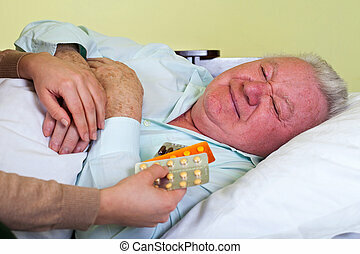 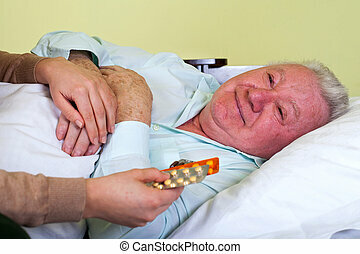 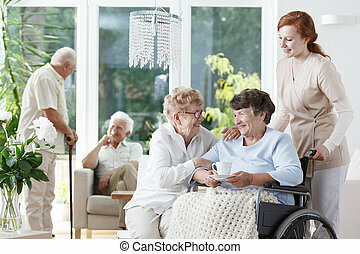 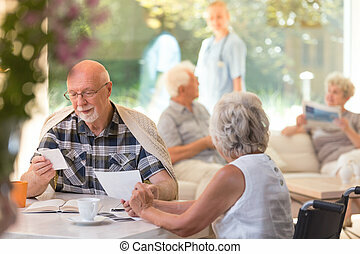 Elderly men and women inside a happy care home.